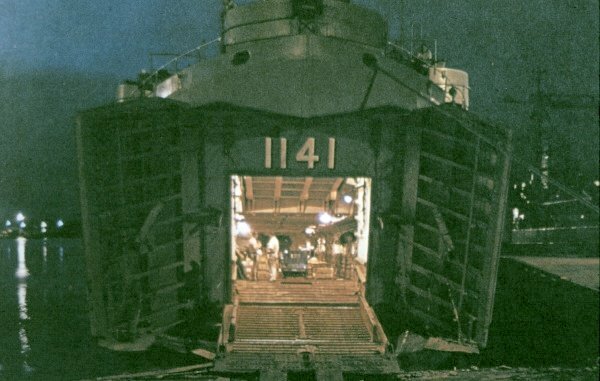 Laid down, 22 January 1945, at Chicago Bridge and Iron Co., Seneca, IL. 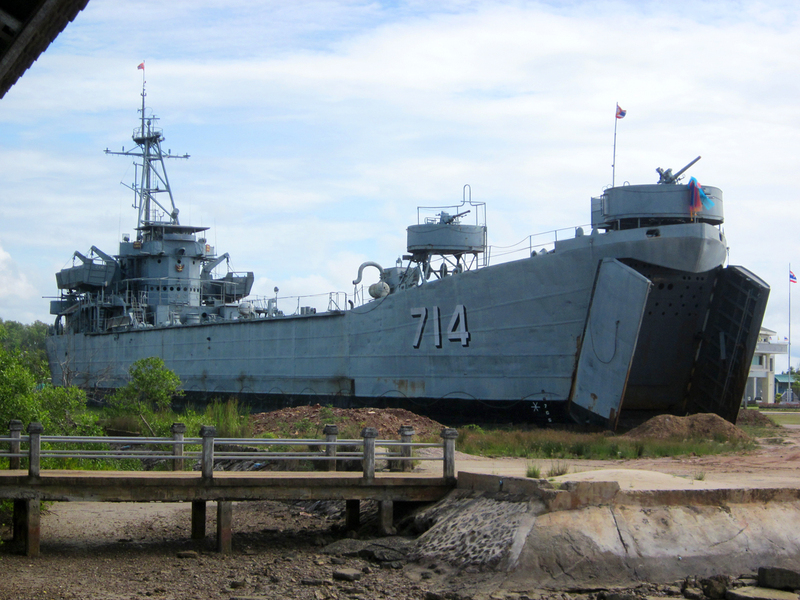 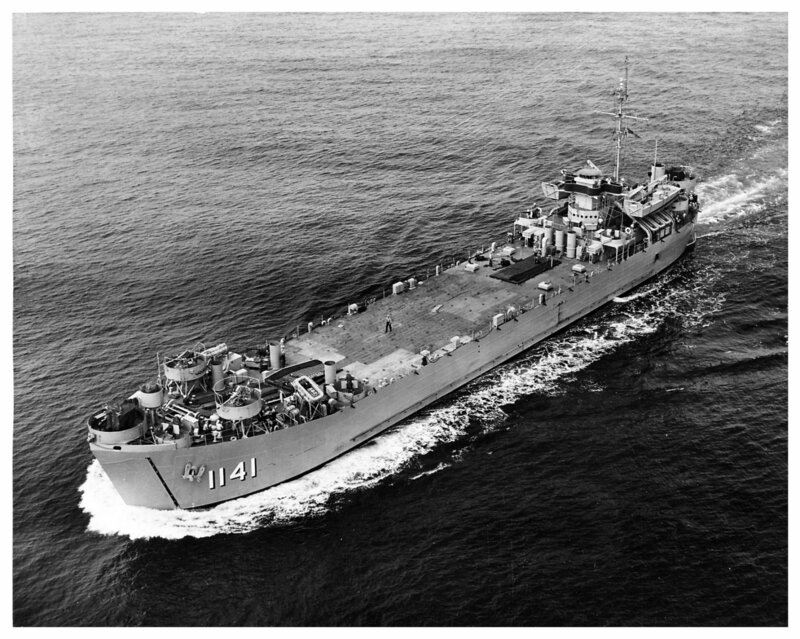 Decommissioned, 24 August, 1949, at San Diego, CA. 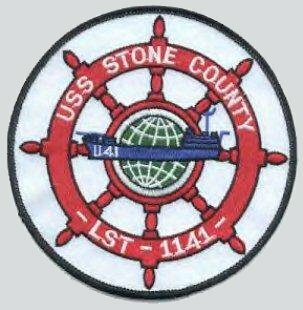 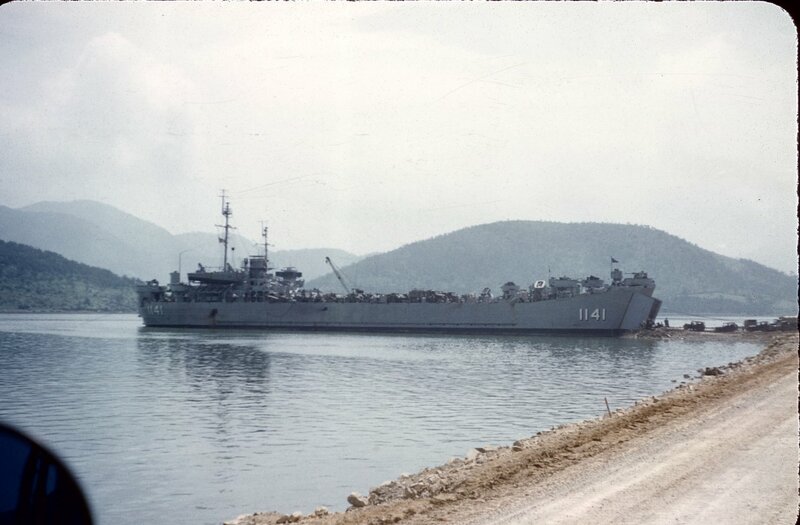 122k USS LST-1141 underway during the 1950s. 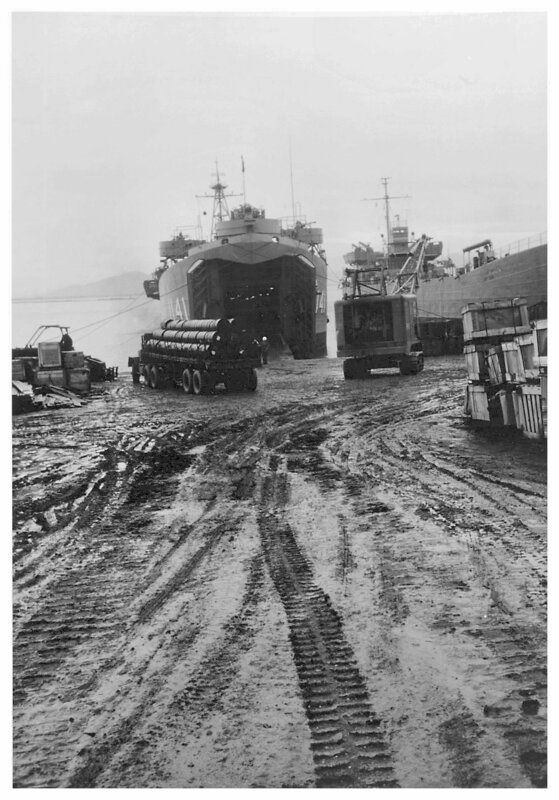 215k USS LST-1141 beached on a ramp at Koje (Geoje) Island, South Korea in 1953. 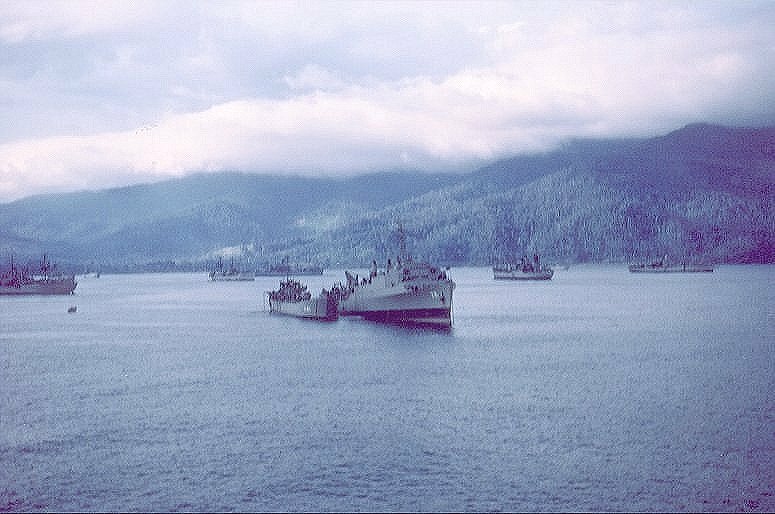 96k USS Stone County (LST-1141) unloading ammunition and stores on a beach near Da Nang, Republic of Vietnam, 25 July 1966. 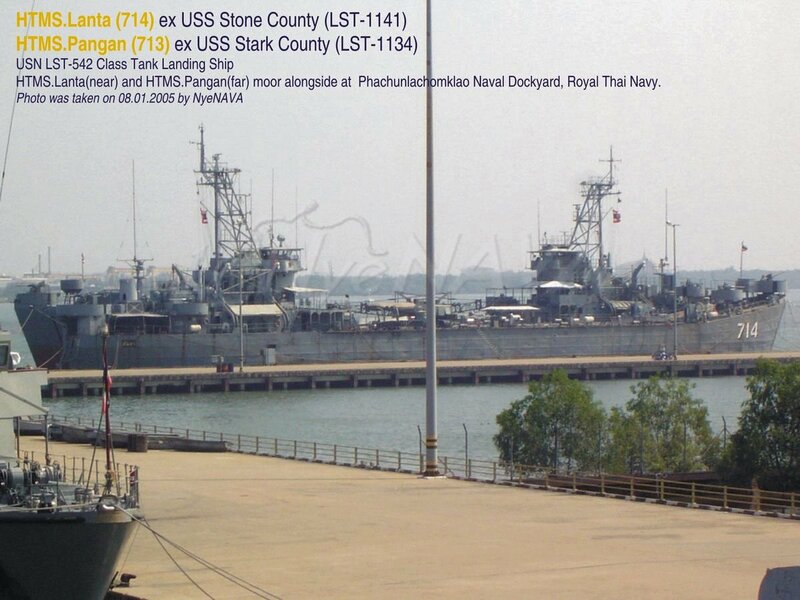 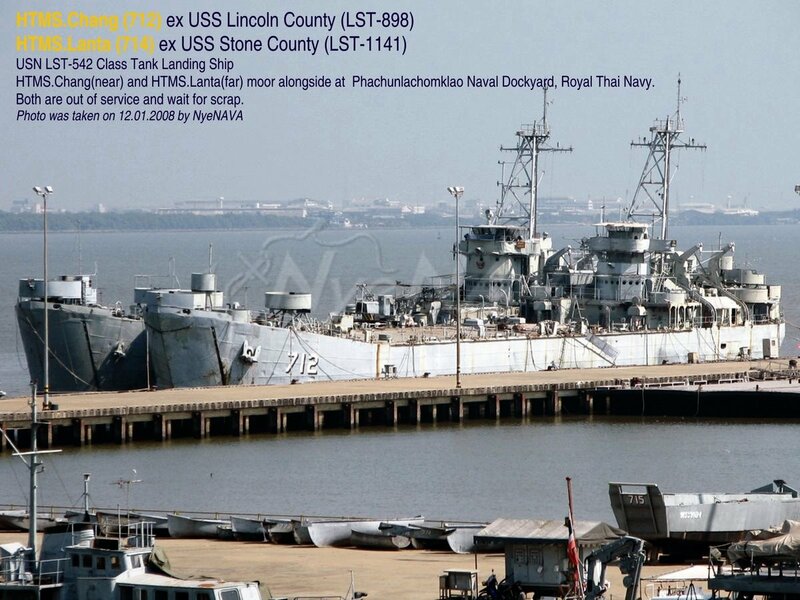 Another LST is also on the beach, at right.